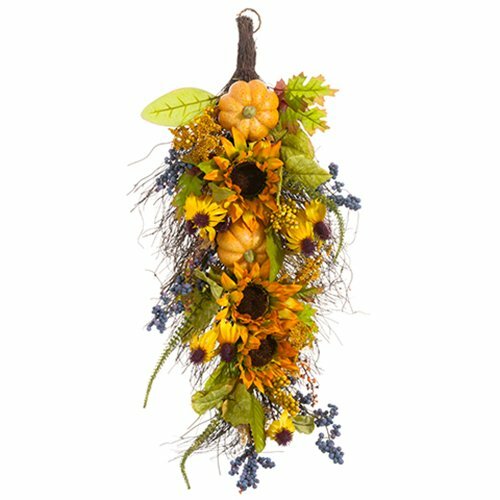 Stunningly beautiful, this 32" artificial pumpkin, sunflower & berry door teardrop flower swag will never need a drop of water or pruning. Each of these perfectly crafted artificial swags overflow with fall's brilliant shades. It's an elegant accent that will add warmth and color to your front door, above windows or archways, or in multiples along a banister or mantel. And... You'll get to cherish it for a lifetime! Height - 32", Width - 16"